The Biryani Project is a delivery kitchen in GK2 doing culinary justice to one of Delhi's favourite dishes. They offer authentic biryani in four different styles – Lucknowi, Hyderabadi, Godavari, and Bohri. 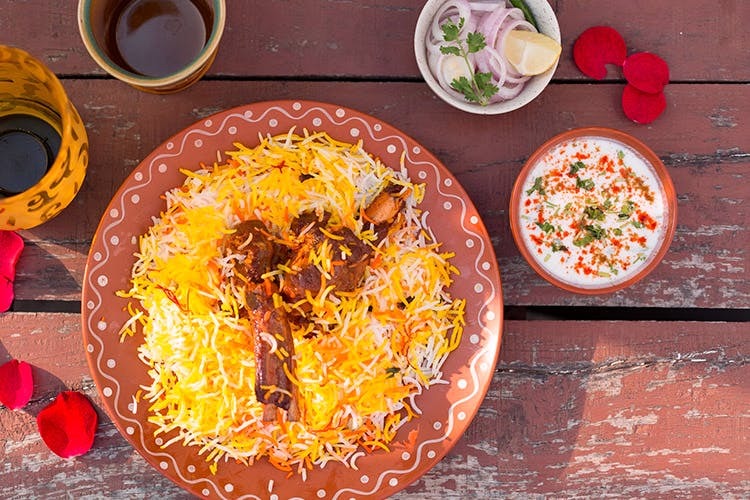 We've all witnessed Delhi's obsession and craving for biryani – mostly because we're all a part of it – and there's no better feeling than diving into a plateful. It seems like The Biryani Project understands our emotional attachment to the flavours and aromas of the royal dish, because their gourmet biryani checks all the boxes and hits all the right spots—it's an absolute delight. They serve four different styles – mildly spiced Lucknowi mutton biryani; rich and flavour-packed Hyderabadi biryani in mutton, chicken and veg; fry-piece chicken biryani with coastal flavours that's cooked with curry leaves and Godavari spices; and Bohri biryani that's cooked with marinated meat, plums, potatoes, topped with cream and saffron. The biryani is delivered to you in earthen pots (matkas) which contain the aromas perfectly. We tried the Hyderabadi and Lucknowi biryani, which instantly induced multiple foodgasms. We didn't expect anything less, since they've learned the preparation from regional ustads while travelling all over the country—props for authenticity! If biryani is your go-to comfort food, we suggest you try TPB's biryani for a true burst of flavour.